In September 1984, it was aired on the BBC and shocked tens of millions of UK viewers. Four months later, it was broadcast in America and became the most watched basic cable program in history. After more than three decades, it remains one of the most acclaimed and shattering made-for-television movies of all time. 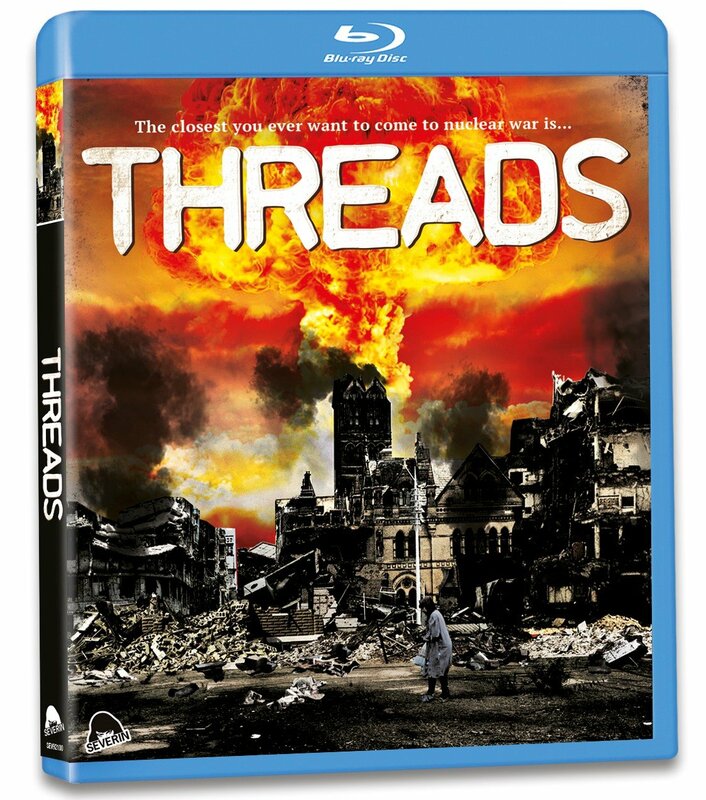 Reece Dinsdale (Coronation Street), David Brierly (Doctor Who) and Karen Meagher (in a stunning debut performance) star in this “graphic and haunting” (People Magazine) docudrama about the effects of a nuclear attack on the working-class city of Sheffield, England as the fabric of society unravels. Directed by Mick Jackson (THE BODYGUARD, TUESDAYS WITH MORRIE) from a screenplay by novelist/playwright Barry Hines (Ken Loach’s KES) and nominated for seven BAFTA Awards, “the most terrifying and honest portrayal of nuclear war ever filmed” (The Guardian) has now been fully restored from a 2K scan for the first time ever. Posted in Catalogue and tagged 2018, Apocalypse, Mick Jackson, Nuclear War, Threads.